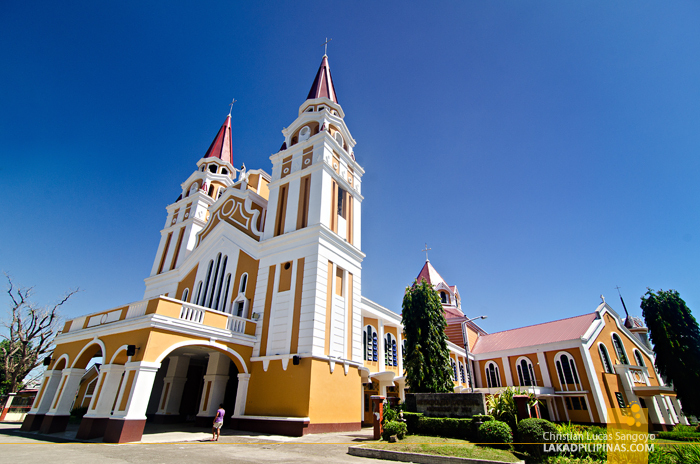 Palo Cathedral’s twin spires rose mightily to the cloudless blue of the sky. That cloudless blue, however, was to be our bane. The midday sun was mercilessly scorching us as we wound around the closed gates of the cathedral, looking for a way to get in. 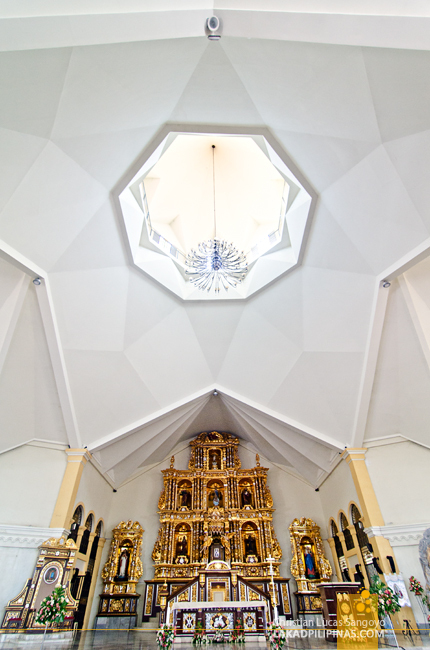 One of the most searing images of Typhoon Yolanda’s aftermath is this same cathedral’s interior as its roof was ripped like paper from its vaulted ceiling. 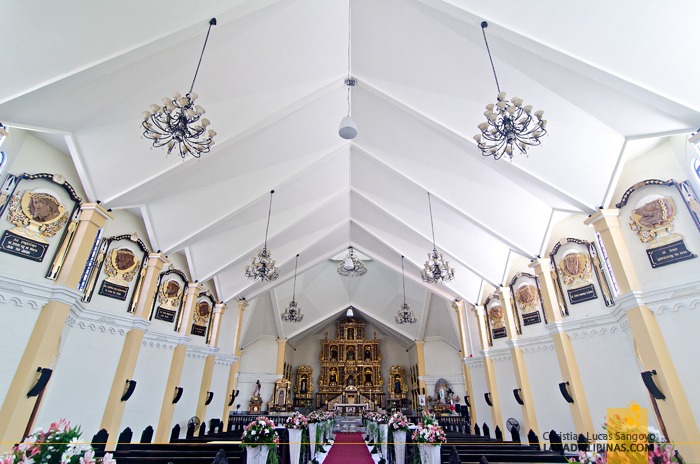 The scene was even broadcasted as it happened while GMA7’s usually flamboyant reporter, Love Añover and her crew, took shelter inside its cavernous hall and frantically reported as the church’s shingles flew off one after another. 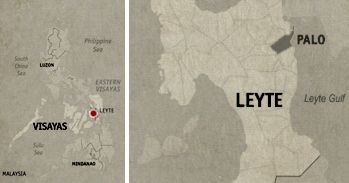 It was indeed one of the horrific moments of the tragedy that struck this region last 2013. Visiting the place two years later, we found a totally different scene. 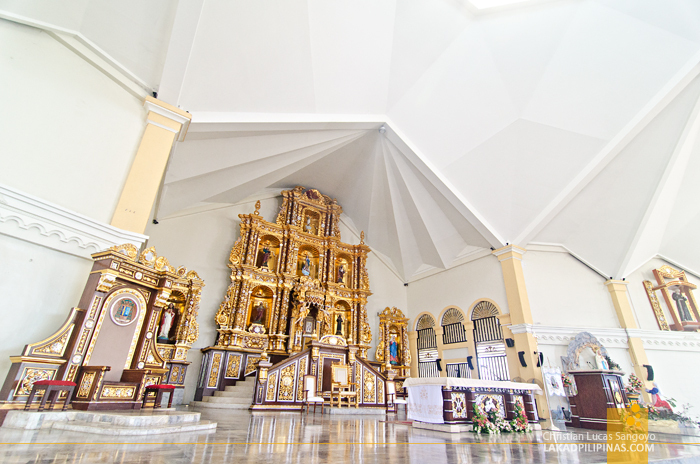 Palo’s cathedral has already been rebuilt, its roof replaced, and its walls, repainted. 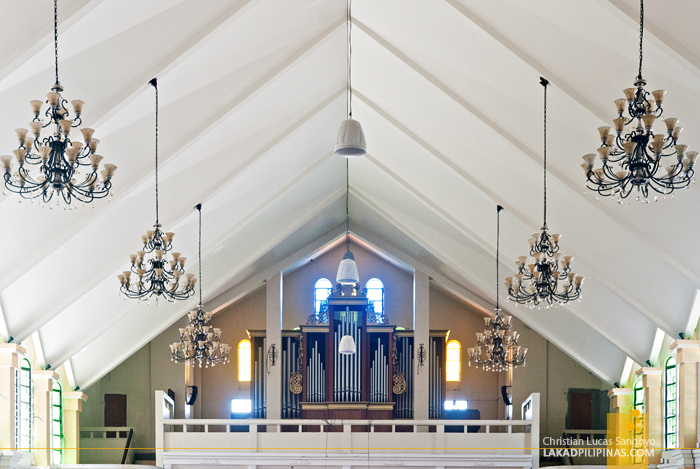 Its neo-gothic twin-spired architecture stood brave against the unrelenting heat of the sun. Even with its modern facade, I had an inkling that this cathedral is old. And indeed, a National Historical Committee marker confirmed my suspicions. 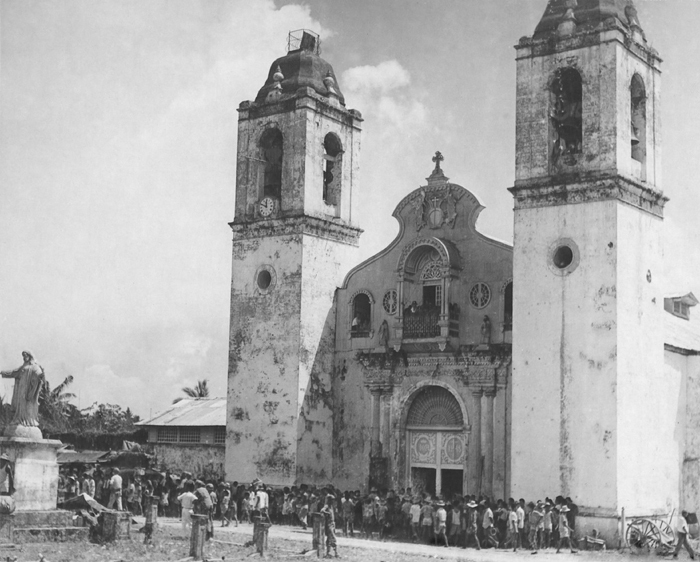 The original church was built by the Jesuits in 1596 and had its own share of misfortunes like fire and strong typhoons, decades before Yolanda hit it. Its twin-spire design came about in 1850 after repairs had been made to the structure. It was, however, very different in character to its present form. In my own opinion, its colonial past has a more regal and massive feel than its current painted veneer. There is indeed beauty in simplicity. I’m not sure when its present design came about, but its old exterior was still present when it was used as an evacuation center and hospital by the American liberation forces from October 1944 to March 1945 during the Second World War. This is the town where General MacArthur fulfilled his promise of returning to the Philippines after Corregidor was surrendered to the Japanese Imperial Army as commemorated on the nearby Leyte Landing Site. 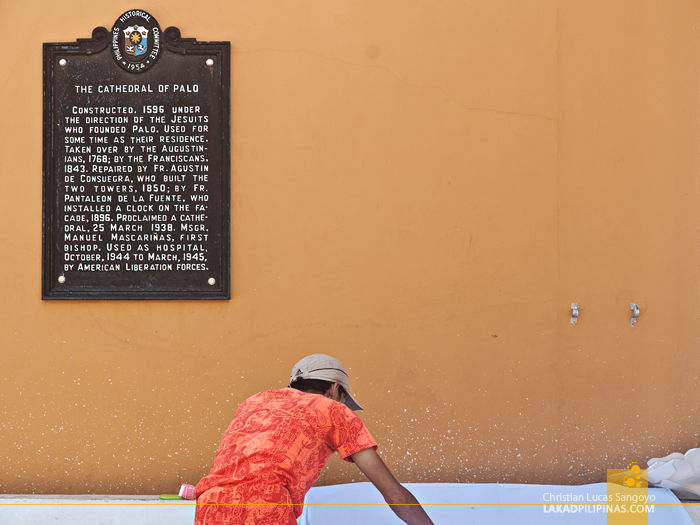 Still, Palo Cathedral’s immediate rise after Typhoon Yolanda is impressive and its prominence had also risen after being visited by Pope Francis. 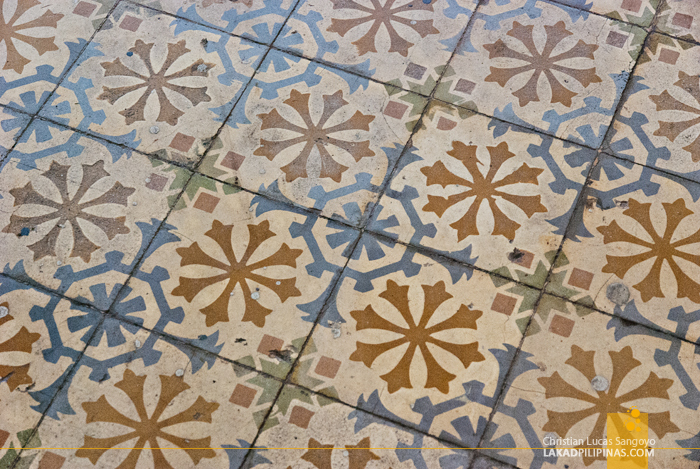 Gone may be its old colonial charm, but its symbol as a center of the Christian faith for the Leyteños is still very much present.